Centrally located for all of Penwith`s beaches and attractions, 7 Victoria Row offers comfortable cottage accommodation in the vibrant town of St Just. 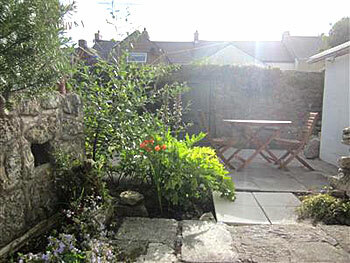 Recently new to the holiday market, the property has a front garden, and an enclosed back courtyard - a wonderful suntrap for the afternoon/evening sun. The accommodation comprises a cosy sitting room with a wood-burning stove in winter, CD player, TV and radio, and free Wi-Fi. The separate dining area is a quiet space to complement the up-to-date kitchen. There is a useful loo outside in the back courtyard. 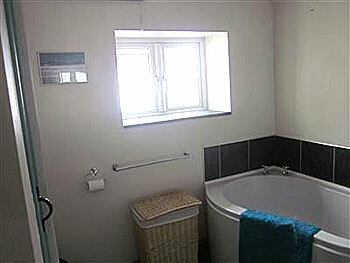 Upstairs are two good-sized double bedrooms and a recently refurbished, spacious bathroom. St Just has all the amenities you would expect to find in a small Cornish town, along with a rich mining heritage reflected throughout. A five minute drive (or lovely walk) to Cape Cornwall and access to the coastal path system etc. Sennen Cove is ten minutes in the car ... famous beaches and classic surfing. St Just is also a great base for spring and autumn birdwatching, with easy access to all of West Cornwall`s `hotspots`.